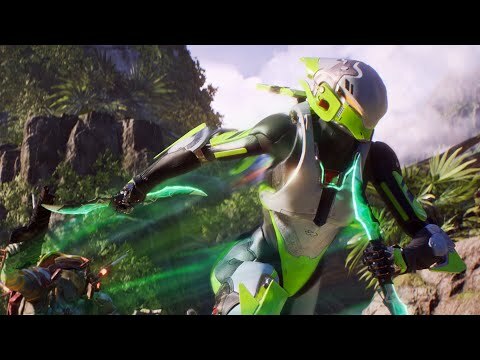 Anthem was released on PC 60d ago in the US and the UK. Based on 12 Anthem PC reviews, Anthem gets an average PC review score of 60. The score for all versions is 60 based on a total of 12 reviews. Anthem is a chore of a game that's highly unlikely to satisfy anyone but the most desperate groups of loot motivated gamers in it's current state. Anthem has energetic combat but it saves too much of what precious little content it has for the endgame, making playing through its mismatched story a tediously repetitive grind. Anthem is a strange flawed adventure with glimpses of greatness buried behind an abundance of obtuse design decisions. Anthem has good ideas, but it struggles significantly with the execution. Anthem offers amazing combat, astounding visuals, and excellent all-around production value but suffers from baffling design choices and awful writing. Anthem's disjointed story, boring loot, repetitive missions, and shallow endgame are all disappointing. At least it's pretty. Unfortunately, I feel like fixing this game goes beyond patching glitches, squashing bugs, and then cramming in expansions. There's half a good game in there, but it doesn't do enough to diminish the overall feeling of emptiness and repetition.